DUBLIN: Ireland's judges are to end the tradition of wearing horsehair wigs that dates back over 350 years to British colonial rule, the country's Courts Service said Thursday. "A change in Court Rules made today, will end the requirement for judges to wear wigs in court," a statement said. 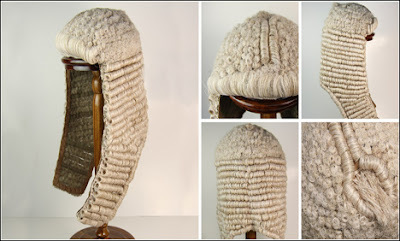 The Superior Courts Rules Committee, chaired for the first time by recently appointed Chief Justice Susan Denham -- Ireland's first female top judge -- approved the court rules change that does away with the requirement for ceremonial wigs to be worn in the Supreme and High Courts. A similar rule change will apply to judges in the Circuit Court after the change is signed into law by Justice Minister Alan Shatter.